REMA (Rotherham Ethnic Minority Alliance) are an infrastructure body which supports organisations within the ethnic minority community. REMA help these organisations build capacity, deliver projects and help support their overall vision, aims and objectives. REMA’s Love is Louder event (@Lv_is_Louder), lead by Emma Sharp, saw Rotherham transformed into an artbombed spectacular this July. The project, which ROAR supported, brought together artistic contributions from a range of local people and communities. You can read more about it here. 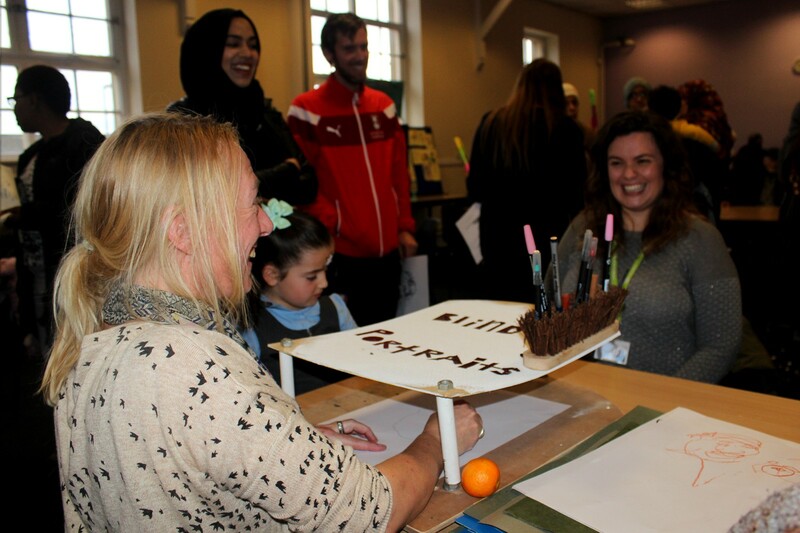 As part of Black History Month, REMA held an event at Rotherham’s Unity Centre and ROAR attended, bringing Blind Portraits to those who had gathered to celebrate. 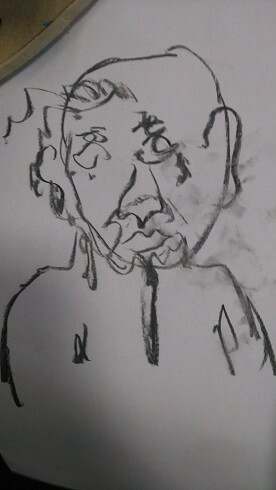 We have found Blind Portraits is a great way of engaging with an audience. Not only is it a really fun activity, but those who get involved actually get to take away with them a piece of art either drawn by us, or more excitingly, by themselves. This is something the children especially, really value. As you can see from the picture above, the artist cannot see the paper they are drawing on and have to focus purely on the person sat opposite them. The nature of Blind Portraits frees those who contribute from the idea of getting it “right” which can sometimes hold us back creatively.